NEW YORK -- Eyewitness News is investigating reports of a person or persons climbing the Statue of Liberty. Earlier Wednesday, a protest group calling itself Rise and Resist dropped a banner that read "Abolish ICE" from the base of the statue. The demonstration was organized to protest the Trump administration's immigration policy, the group said in a press release. 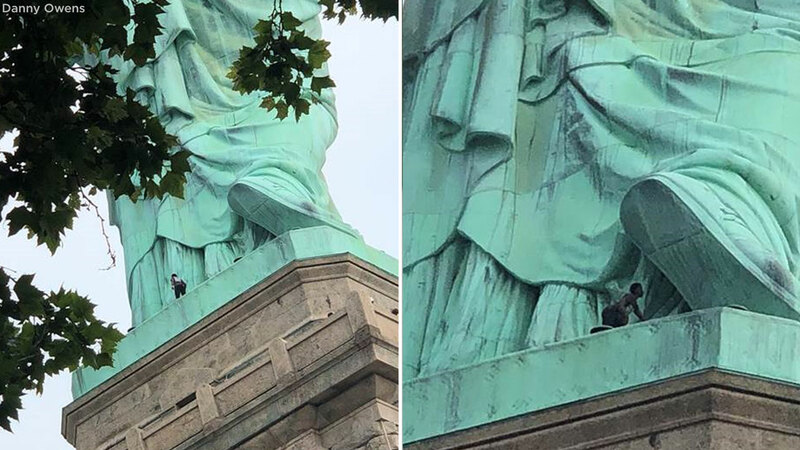 Around the same time, photos posted to social media appeared to show a single person climbing the statue near Lady Liberty's foot. It was not immediately known whether the two incidents were connected. This is a breaking news story. Keep checking abc7NY for the latest information.